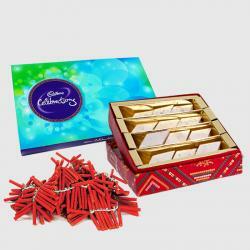 Product Consist : Cadbury Celebration Chocolate Pack (Weight : 118 gms) with Box of Kaju Katli Sweet (Weight : 500 ms) along with 4 Diwali Earthen Diya. 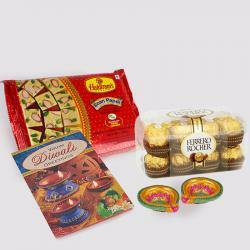 The combo is designed especially for Diwali gifting purpose which will express the special attachment and message of the sender to the receiver. This gleam of Diya lights definitely bring special happiness. Wish your family a happy diwali with this combo. 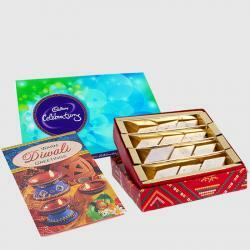 The combo has Chocolates Kaju Katli and Diwali Diya Set. Celebrate the occasion with love and happiness everywhere. 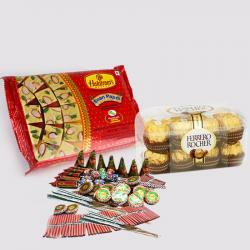 The combo will bring you all together on this special occasion cheer the day with this Special Hamper. 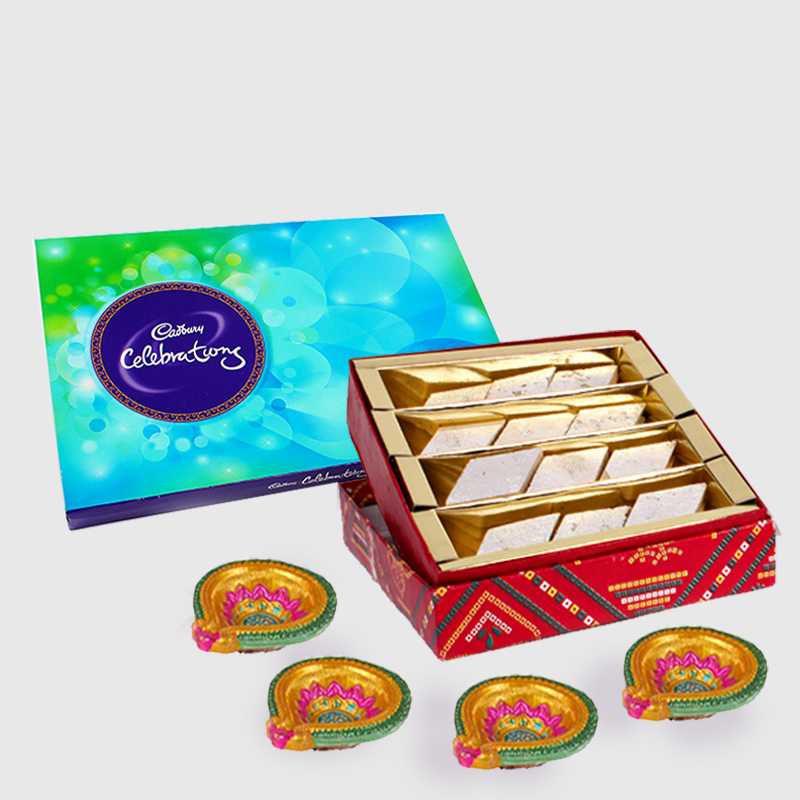 Product Includes : Cadbury Celebration Chocolate Pack (Weight : 118 Gms) Box of Kaju Katli (Weight : 500 gms) and 4 Earthen Diwali Diya.